The craze for brown sugar milk tea has been around for months and it seems that it is about to get even wilder with new players coming in town. 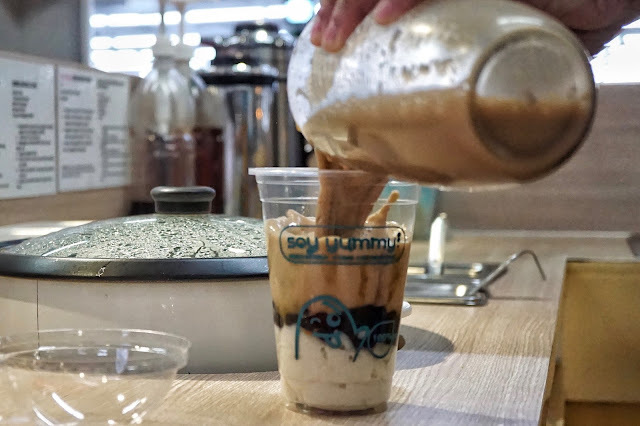 While some are dismissing how great these drinks are given that it's just "arnibal", sweets loving Filipinos are sure to continue to line up and patronize these establishments offering an alternative to our classic taho. 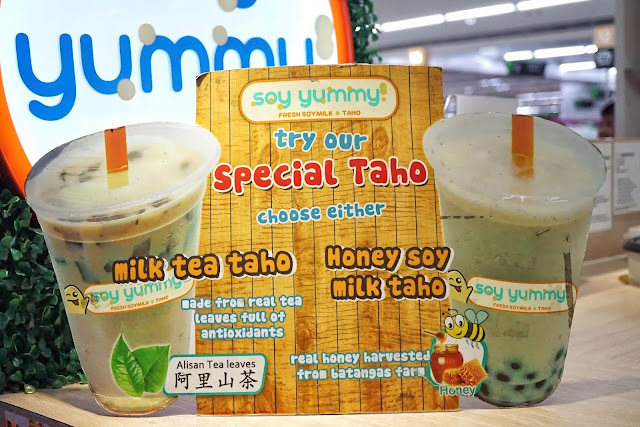 But for those who can't decide if they want milk tea or taho, I found the perfect solution for you. Soy Yummy has been my go to kiosk for my taho needs when I couldn't get hold of Mr. Taho. 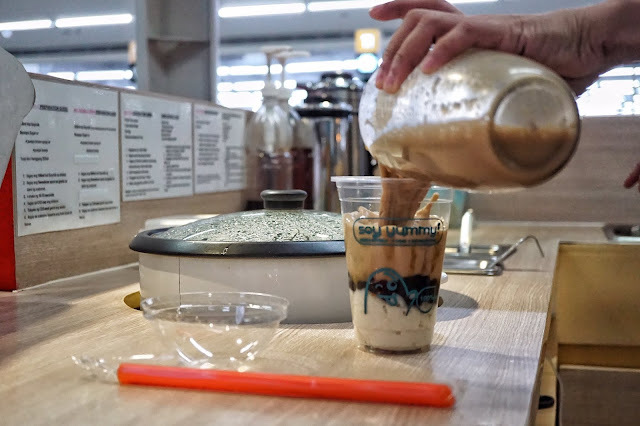 I'd always get a large cup of hot taho whenever I spot one except one Friday afternoon when something else caught my attention. Milk Tea Taho? Now that's something new! This drink comes in one size priced at PHP69. It uses Alisan tea leaves which is a variety of oolong tea so expect a strong kick of tea in every sip. 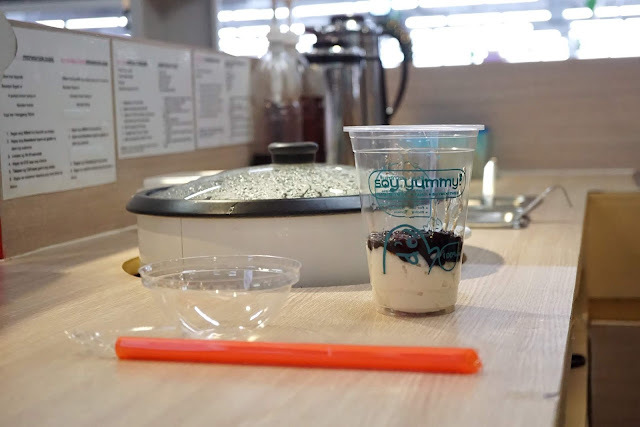 It also has tapioca balls and silken tofu as sinkers and brown sugar as sweetener. 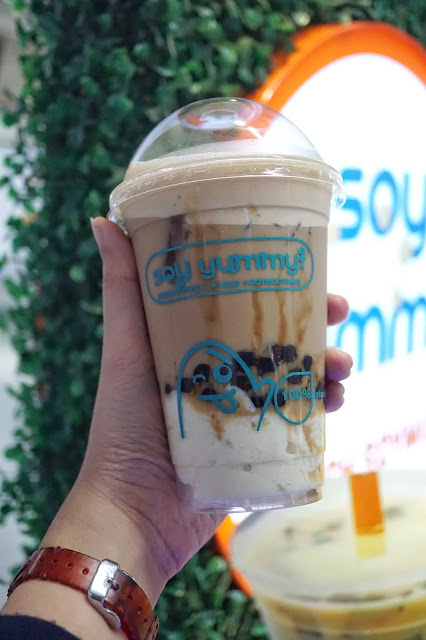 Unlike milk tea shops, Soy Yummy didn't ask me for ice or sugar level so I figured that it might be standard. My drink was ready in less than 5 minutes and the first sip was packed with tea taste. It became a lot sweeter after I shook my drink. I love how the sweetened Alisan tea and tapioca balls complemented the silken tofu. But it seems that my drink didn't have enough brown sugar to keep the whole drink sweet as my last few sips were rather bland. I'll definitely ask for extra arnibal next time. I'll surely grab another one when I get a chance. 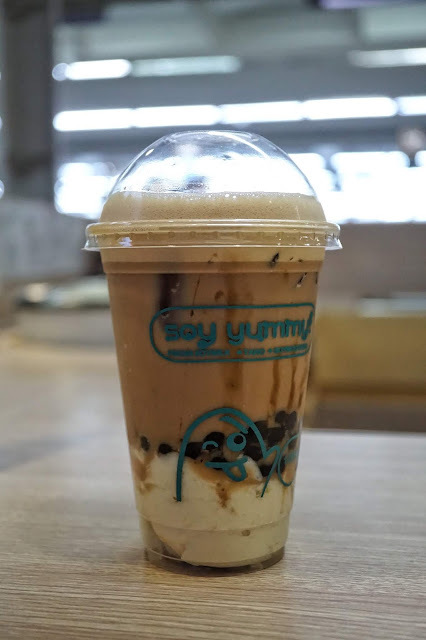 Soy Yummy is located at Ground Floor, SM Supermarket, SM Megamall Building B, Mandaluyong City.